Kurt and Logan. i don't know what's happening but i'm sure if u were out on a stroll and looked up to see them starring at u like that, u'd run for your life O_O. 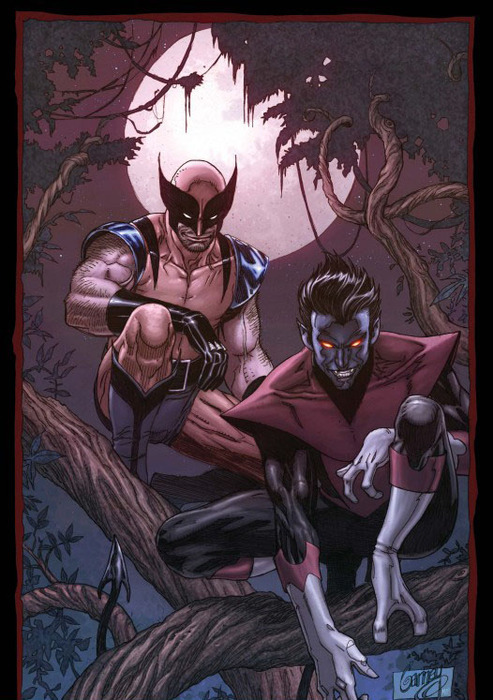 Wallpaper and background images in the Nightcrawler club tagged: nightcrawler x-men kurt wagner cool logan wolverine. This Nightcrawler photo contains anime, grappig boek, manga, cartoon, and stripboek. There might also be glas in lood raam and glasraam.